As scooters have become more prominent on the streets of San Francisco and many other locations throughout the country, this raises personal injury questions about the dangers of scooter injuries. A lawsuit has already been filed by a group of disabled persons who allege that these scooter companies have failed to consider how the placement of the devices blocks egress for people who have impaired vision. Now UCLA will be the first to study scooter injuries after a determination was made that 1 out of 3 people who came to the emergency room after a scooter accident had injuries serious enough to require ambulance transportation. 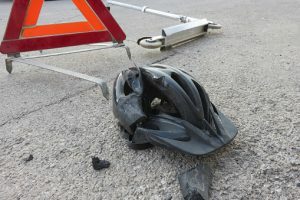 As a vehicle driver who strikes someone operating a scooter or as a person riding the scooter who is hit by a traditional vehicle driver, there are many different questions that need to be asked about the legal rights. Since there have been very few cases involving the use of these rentable scooters, the law has not yet come to a determination about when individuals might be responsible for their own injuries. Some drivers claim that these scooter riders are blocking the roadway and seemingly coming out of nowhere, increasing the chances of significant accidents. If you’ve already been hurt in an accident involving someone riding a scooter or if you are on a scooter and are struck by someone, you need to consult with a San Francisco personal injury lawyer immediately.